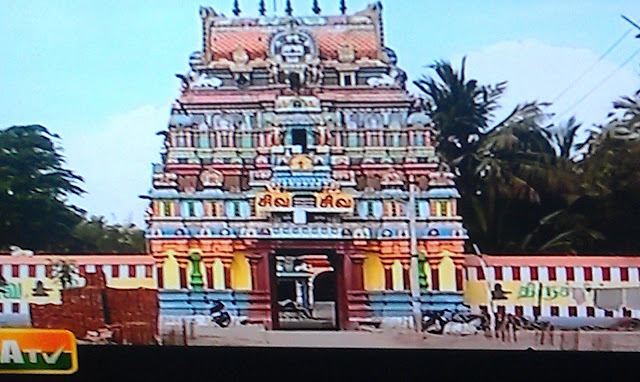 Kaduveli is located in Thiruvaiyaru taluk in Tamilnadu.This also the birth place of sri.Kaduveli Sidhar.He has performed hard penance towards God Shiva,in a place called Iraumbai near Puduchery Auroville.It is a tiny village.This was earlier ruled by a king from near by place called Edaiyaanchavadi.Our Sidhar was sitting under a pee pal tree(அரச மரம்) for a longer period & doing penance without taking any food.He stopped interacting with people concentrating on his penance.Ant hill covered him. 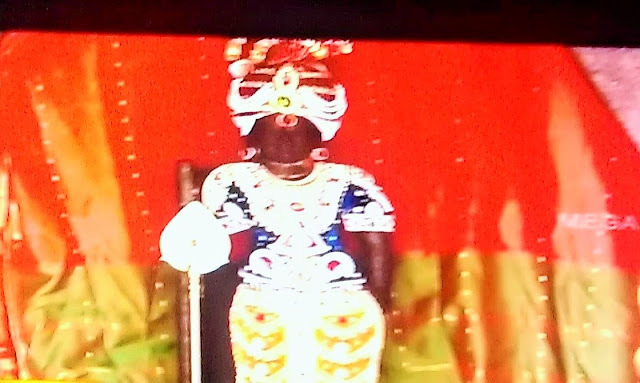 Occasionally he would spread out his hands,pick up pee pal tree leaves fallen around him & ate it, not even opening his eyes .Owing to his longer,well focused tapas, lot of heat generated over that area,soon all the water sources went dry.There was no rain.People & the ruling king were scared of stopping his penance.The king at last sought the help of a dancing girl of Shiva temple(தேவதாசி) called Valli.She agreed for the sake of saving the people from the acute shortage of rain.She reached the pee pal tree where our Sidhar was doing penance.She noticed that Sidhar was eating sometimes the fallen leaves without opening his eyes.She brought unfired appalam (வறுக்காத அப்பளம்) & spread it surrounding the ant hill over the leaves.By this time.Sidhar grew very weak.Now he has been eating the papad thinking it were leaves.Soon his body reached the previous shape & due to its expansion,the ant hill broke into pieces exposing the body to the sunlight.Now our Sidhar opened his eyes & finally Valli successfully stopped Sidhar's penance,soon the surrounding area became cooler.It rained immediately.The king & people were happy.They praised Valli for restoring to normality.She began to offer food,water to Sidhar & people,king began to interact with him.Now the king wanted to thank Shiva & pooja worship conducted in Shiva temple inviting the Sidhar.On that day Valli performed Shiva Thandavam dance.The Sidhar felt as if God Shiva Himself dancing there.Suddenly one of the anklet in Valli's foot got loosened & fell down.Immediately the Sidhar rushed towards valli,took the anklet & placed it around her foot and Valli completed the dance uninterrupted.Now the king & the people mistook that the sidhar & valli had a secret relationship,began to comment how that a saint like him would do such a mean act. 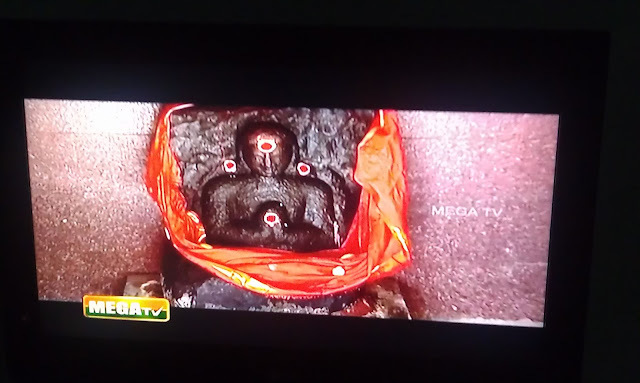 Now the Sidhar became angry & prayed to God Shiva that God should teach them a fitting lesson.Immediately Shiva lingam in the temple exploded into three pieces with a loud bang & there was a rain of stones all over that area.That whole place became a desert like place.Now the king & his people realized the power of the saint(சிவ யோகி) &sought his excuse.But Sidhar told them that he could not stop it & later people from far off places through out the world would come there & plant trees.Now that place is Pondichery Aravinda Asramam. 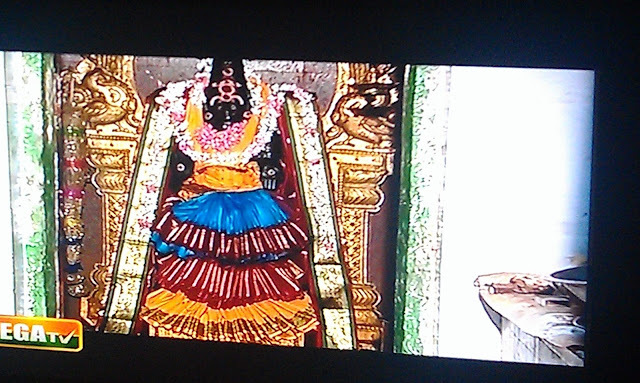 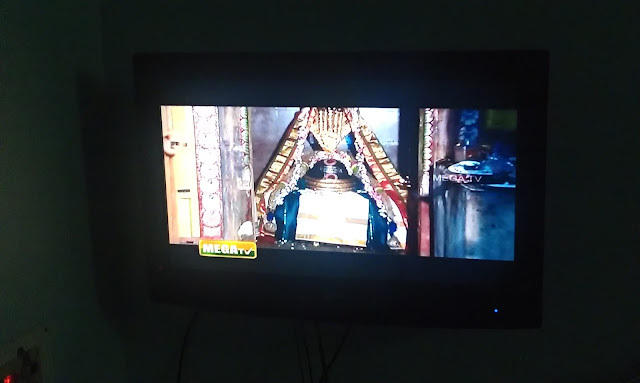 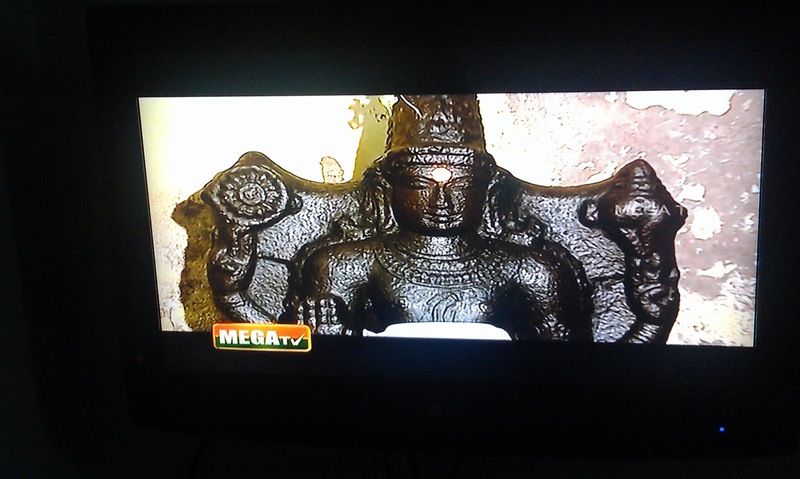 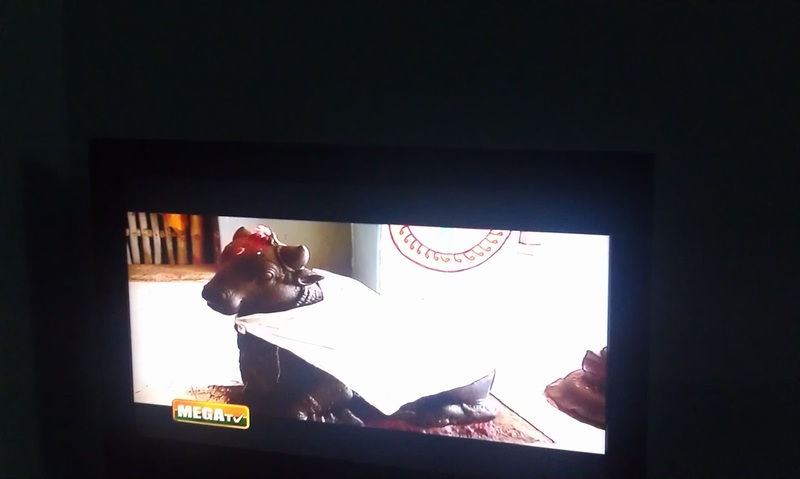 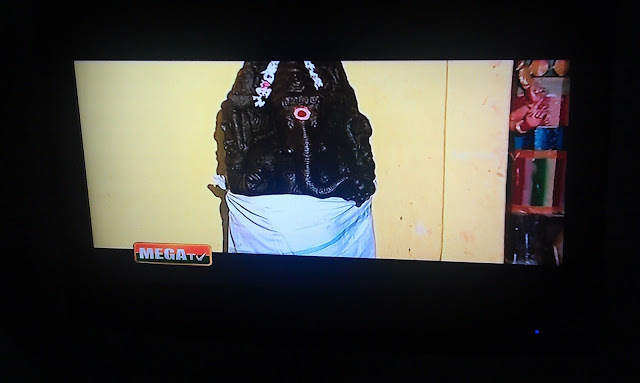 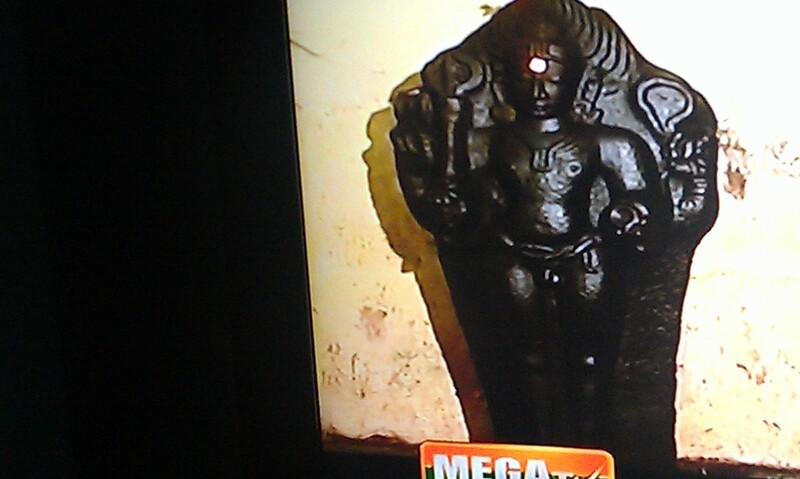 Photo courtesy Mega Tv .Kaduveli means outer space.The temple at Kaduveli is dedicated to God Shiva , with special significance attached to "pooradam star".Goddess Mangalambigai is blessing all those coming there on pooradam star's day.Angels from heaven & Vaasthu purusha are assembling there on that particular day to worship God Shiva.& His consort is blessing the devotees to lead a prosperous life. . Those people born under Pooradam star can go & worship there.The place is near by Thiruvaiyaru. Thank you.Like parents, like children.The present Pondi C.M is regularly coming to Salem.He worships in a sidhar tempe called "Appa payithiam" swamigal.It is very near to Salem rly junction.I have taken my daughter & son to "Kanja malai Sidhar koil"at Salem.In the foot hill is his Jeeva samadhi,In the hill top around three thousand five hundred feet high by walking only you can reach there.People go there in large number during new moon days. Can u pls say his history I heard about him but I never seen.